The compelling saga of Beaver Area entrepreneur Michael Baker, Jr. and the spectacular growth of the worldwide civil engineering and energy firm he founded, the Michael Baker Corporation. In April 1940, at age 28, Michael Baker, Jr., officially opened his surveying and engineering business in the Penn-Beaver Hotel (Room 122) in Rochester, PA.  The business grew from a single $25 lot survey to an eight-man operation grossing $15,000 in its first year. Always a visionary, Mike traveled the globe early in his career in search of his “favorite project andthe next project.” Through the Far East, the Middle East, Europe, and Latin America, he logged millions of travel miles. In 1951, the firm was named consulting engineer and construction administrator for Saudi Arabia. This entailed design of harbor facilities, customs buildings, major highway systems, airports, water supply and electrical systems, a private hospital for the royal family, a $30 million air base and additions to the royal palaces. Considered to be one of the great engineering and construction feats in recent history, the Trans- Alaska Pipeline was a crowning achievement for Baker during the late 1960s and into 1977, when the project became operational. Upon completion, the $7.7 billion project was the largest privately funded venture in history. 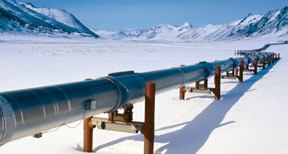 The 48-inch oil pipeline was designed to bring two million barrels of crude from Prudhoe Bay to Valdez. The Baker-designed New River Gorge Bridge, in Fayetteville, WV, is an engineering marvel stretching 3,030 feet from one end to the other. 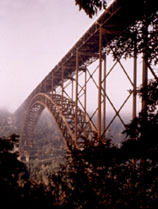 With a main arch span of 1,700 feet, it is the longest single arch steel bridge in the world, and at 876 feet above the gorge, it is the second highest bridge in the U.S.
Baker’s work for the Department of Homeland Security’s US-VISIT program is helps keep our borders safe. What started as a data collection and mapping task for 400 border air, land, and sea points-of-entry has evolved into Baker as an integral, overall program manager. Baker’s services on behalf of the Department of Defense Dependents Schools began in 1988. Baker has helped detect and manage asbestos abatement at 1,000 facilities worldwide. Today, Baker serves the DoD Education Activity with critical planning, design, environmental and program management services. FEMA mapping information platform overlaid with sophisticated, geo-spatially linked elevation, political, transportation, hydrology and orthophoto data. The American Consulting Engineers Council honored Baker with its 1992 Grand Conceptor Award for the design of Vine Street Expressway in Philadelphia. This $225 million, seven-year effort provided much needed relief for one of Pennsylvania’s most congested highway corridors. Baker was one of the very first engineering companies to utilize computer technology for engineering purposes. Its first computer had less computing power than most handheld calculators of the 1980s. The Federal Emergency Management Agency has been a client for more than 30 years. In 2004, Baker embarked on its most challenging FEMA project yet –the $750 million modernization of the entire flood mapping system as FEMA’s National Service Provider. For more information about today’s Michael Baker Corporation, visit its website at www.mbakercorp.com.